Ideally situated, Swissotel Kolkata is a brand new five-star hotel located in the new town of Rajarhat - just 3 km from the Airport and 15 minutes from the IT hub Salt Lake Sector 5. 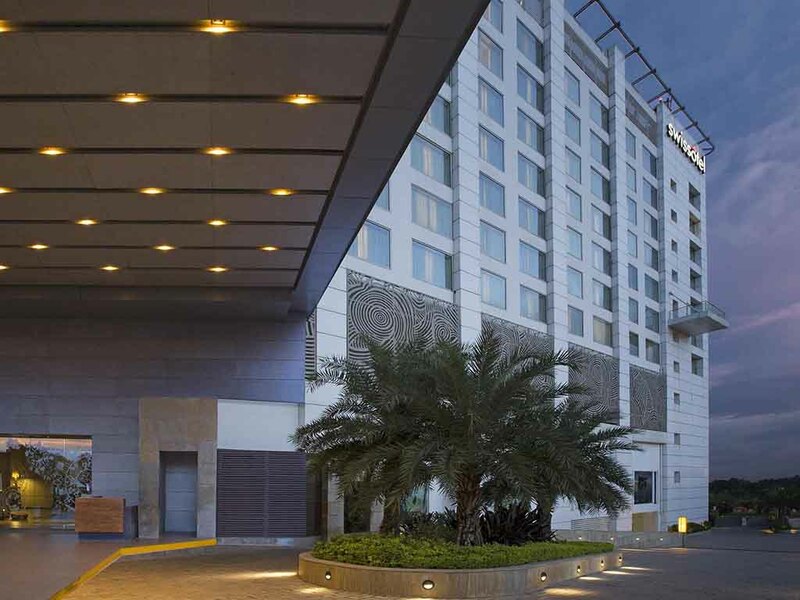 Nestled close to a Shopping mall with shops/restaurants and a multiplex, Swissotel Kolkata boasts 147 contemporary guestrooms, 4 restaurants and bars, 1292 m² of meeting space, a fitness center, spa treatment rooms and a rooftop outdoor swimming pool. Café Swiss caters to local and international palates and specialises in Swiss-inspired European cuisine and popular Indian dishes made with local, regional and seasonal produce. It is an ideal casual dining venue for breakfast, lunch, dinner. Durbari is a fine example of balance; where traditional and modern design elements meet in a relaxed setting. The restaurant is a delightful venue for all who enjoy Indian traditional fare with a twist outside of their own kitchens (curries, biryanis...). The bar is located beside Café Swiss which gives unobstructed views of Kolkata with dance floor, display bar, wooden interiors and large glass panes as windows. This is a thrilling, trendy and happening outdoor place with great music and fantastic views offering a simple yet creative outdoor menu with a variety of live cooking options. Splash boasts a hip and modern ambience and features panoramic views of the city. Offering a tantalizing menu and sumptuous choices from its refreshingly different menu, guests can dine under the stars and enjoy soothing lunge music at Splash. Bekvämt hotell med trevlig personal. Mycket bra, restaurangen bra mat och genomgående bra service, nöjd.